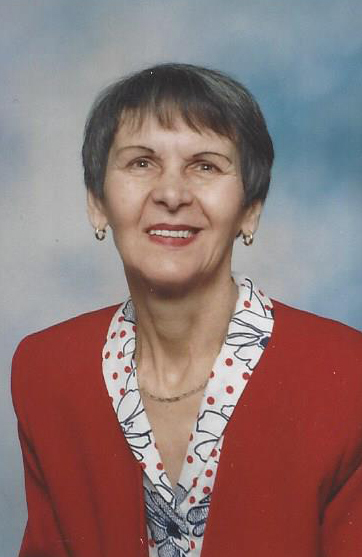 Anne Henderson, 82, of Calgary passed away on May 28, 2016 at the Chinook Hospice after a short battle with cancer and a long battle with MS. She is predeceased by her brother Peter, and survived by her husband Jack, two daughters Karen and Deborah, as well as her sister Mary and brothers Edward, Joe, and Martin. For the last three years she resided at the Garrison Green Seniors Community. Anne was an avid member of the Richmond Reveller’s club through the 1960’s up to 1980’s. She was a shining light to all who met her and will be greatly missed by her family and friends. A Celebration of Life will be held Tuesday, July 19, 2016 at 11:00 am at the Lakeview United Church (3023 63rd Ave. S.W. Calgary, AB). In lieu of flowers consider a donation to a charity of your choice in Anne’s memory. Sincere sympathy from John and Irene Klassen. Anne was a sweet lady. Sending you our heartfelt condolences. Jack and Family: You are in our thoughts. We will always remember Anne’s beautiful smile. Our thoughts are with you and your family Jack, in this time of sorrow. She was a great lady and will be missed by family and friends. Our sincere thoughts and prayers are with you and your family Jack. She was a true lady and will be missed. Dear Jack, and all the family. Our thoughts and prayers are with all of you. Ann knew she was loved and she loved in return. We will miss her, and remember her.